Weather-related disasters pose a major threat to society, the environment and the economy. As the vulnerability to weather related hazards increases due to climate change, growing population, urbanization and other factors it is imperative to coordinate weather research targeted towards improving forecasts and warnings at international level. The impacts resulting from the underpinning hydro-meteorological events such as heat waves, droughts, floods, landslides, wind storms, landfalling tropical cyclones or severe convective storms are regional or local in nature. Many of these disasters, however, exhibit global connections and interdependencies, not only from a meteorological perspective, but also from an economic perspective. Considerable progress has been made during the past decades in advancing our knowledge and understanding of high impact weather events, as well as in the development of weather prediction and early warning systems that also take into account societal and economic impacts. These advances resulted in lives being saved, damage avoided and economic impacts averted. The WMO World Weather Research Programme (WWRP) has contributed significantly to this achievement – through THe Observing system Research and Prediction EXperiment (THORPEX) and other activities. However, much more needs doing to focus and accelerate future research advances and to achieve the full potential of products and services. The Year of Polar Prediction (YOPP) is planned for mid-2017 to mid-2019, centred on 2018. Its goal is to enable a significant improvement in environmental prediction capabilities for the polar regions and beyond, by coordinating a period of intensive observing, modelling, prediction, verification, user-engagement and education activities. 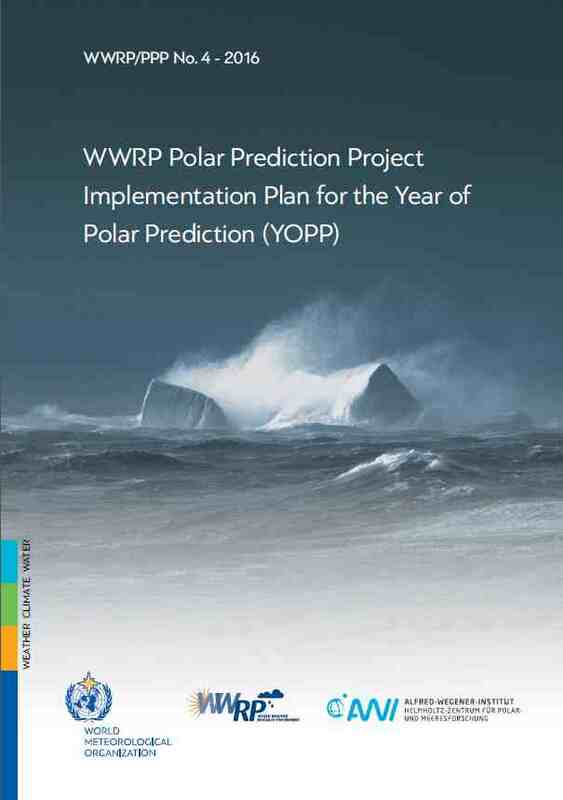 With a focus on time scales from hours to a season, YOPP is a major initiative of the World Meteorological Organization’s World Weather Research Programme (WWRP) and a key component of the Polar Prediction Project (PPP). YOPP is being planned and coordinated by the PPP Steering Group together with representatives from partners and other initiatives, including the World Climate Research Programme’s Polar Climate Predictability Initiative (PCPI). Online coupled meteorology atmospheric chemistry models have undergone a rapid evolution in recent years. Although mainly developed by the air quality modelling community, these models are also of interest for numerical weather prediction and climate modelling as they can consider not only the effects of meteorology on air quality, but also the potentially important effects of atmospheric composition on weather. 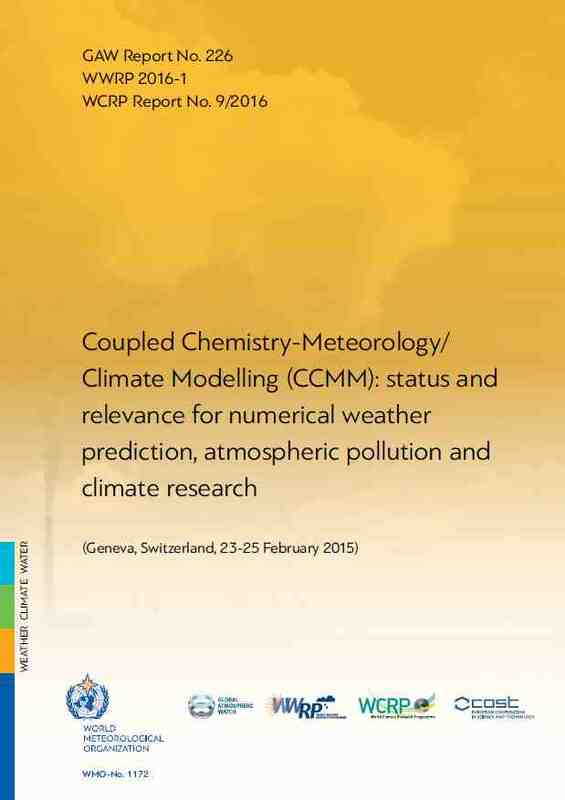 This report provides the main conclusions from the Symposium on “Coupled Chemistry-Meteorology/Climate Modelling: Status and Relevance for Numerical Weather Prediction, Air Quality and Climate Research” and an overall outcome of the European COST Action ES1004: European Framework for Online Integrated Air Quality and Meteorology Modelling (EuMetChem). It also contains the symposium abstracts and a review of the current research status of online coupled meteorology and atmospheric chemistry modelling, a survey of processes relevant to the interactions between atmospheric physics, dynamics and composition, and highlights selected scientific issues and emerging challenges, which require proper consideration to improve the reliability and usability of these models for three scientific communities: air quality, numerical meteorology modelling (including weather prediction) and climate modelling. It presents a synthesis of scientific progress in the form of answers on eight key questions and recommendations for future research directions and priorities in the development, application and evaluation of online coupled models. This is a companion document to the main WWRP Implementation Plan 2016-2023. It provides planned activities by Projects and Working Groups to support the overall WWRP programmatic goals for each of the four Themes and 18 Action Areas listed in that document. It also gives more detail on planned education, training, and capacity building activities to facilitate progress on research, and transfer from research into operations. In square brackets after each bullet-pointed activity are given the projects and working groups involved, including collaborations with key partners outside WWRP.